1. Centris Technology provides smooth, fingertip tilt in all directions. 3. 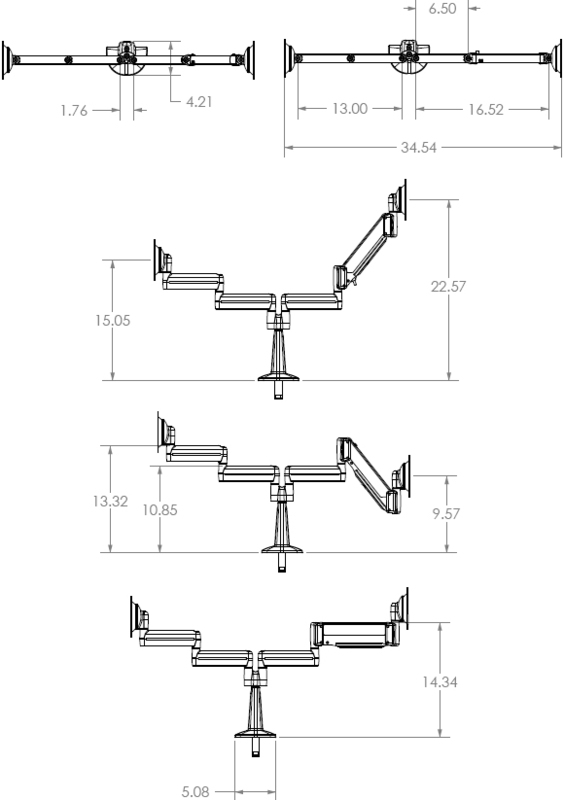 Adjust the height and position of each screen independently for ergonomic alignment. 4. Clamp option allows mount to be installed from the top of the mounting surface. 5. Multiple mounting options: edge clamp, grommet clamp, grommet thru-bolt. Question: How large can the monitors be? Answer: The arms will support two monitors side by side from 10” to 32” each and up to 20 lbs per monitor (total of 40 lbs combined). The largest monitor combination supported is 32” and 32”.